Aloha! You may have heard me mention the wonderful &quirky brand ‘Inkkas’ in the past. I was lucky enough to get an interview with Inkkas way back in April, you can read it here. Usually I am not a ‘sneaker’ girl but these beauties have really caught my eye & my heart. 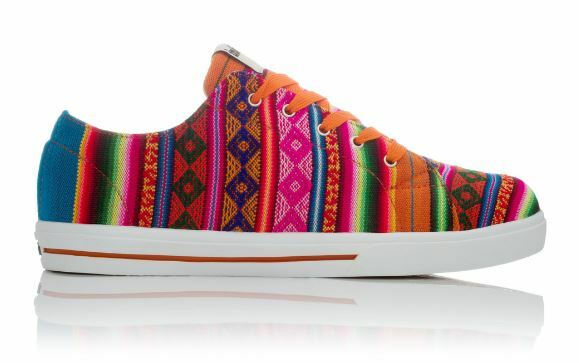 Not only do I love the tribal/native design, I also love Inkkas ethical values. Fair trade is something that is close to my heart & it is amazing to see companies such as Inkkas ‘giving back’! I would really recommend checking out the full range available from Inkkas. I would love to know what your favourites are! Those are really great, I love the colours! These shoes are awesome! Love all the colors!